Pre-teens can only earn 'pocket' money by going to school. For your pre-teen you can pick one of the available classes. Their levelling system works with grades. Can use any "Study Desk" from the pre-teen section of the home-store. Levelling up by "Cram" at a study desk takes only 2 hrs per grade! Note: You can not attend more than one class per day. 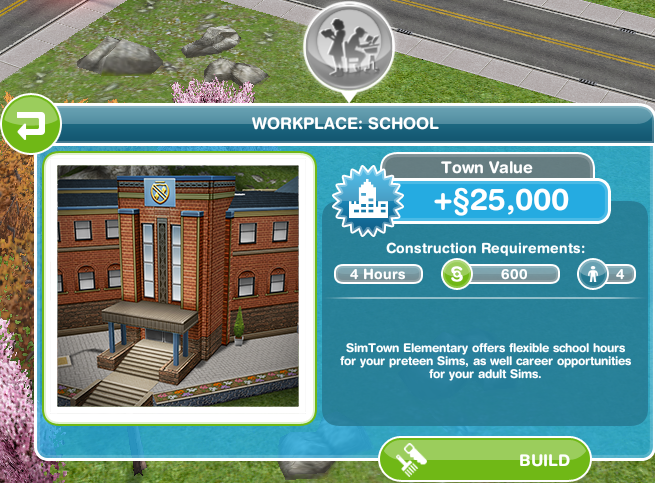 This works the same as the Elementary School for pre-teens, but with different levels and the extra High School building. Note: Teens can NOT use desks from pre-teens!!! 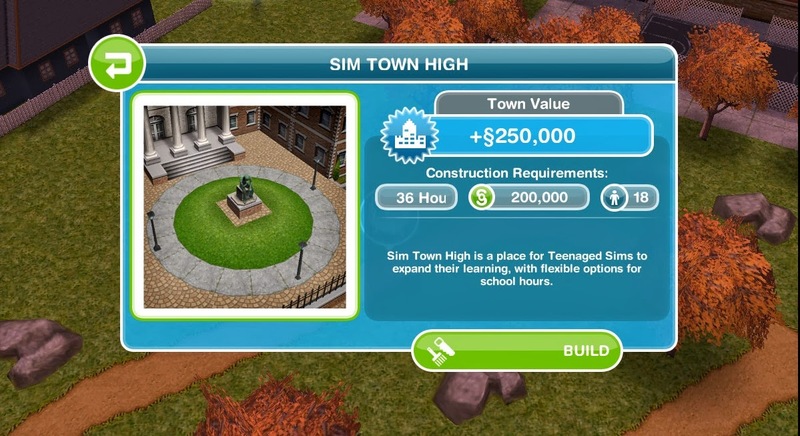 Can only use the Teen Study Desk to level up. 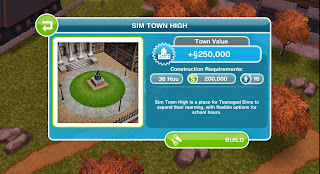 Using 3 hour research gives 50% up to level 4, 25% for the remaining levels.